I love picnics. My friends and I used to do this every year after high school, but because of work, drama and other obligations, we hardly go on picnics anymore. 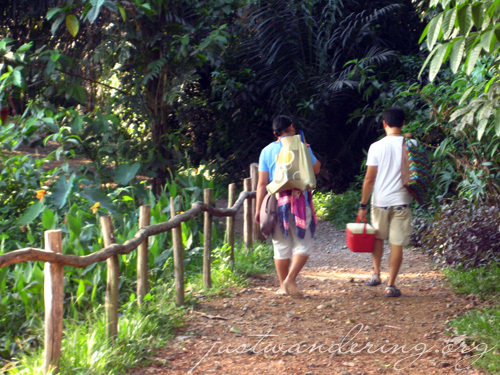 Our usual venue was UP Diliman’s lagoon, but this time, we decided to check out the La Mesa Ecopark. 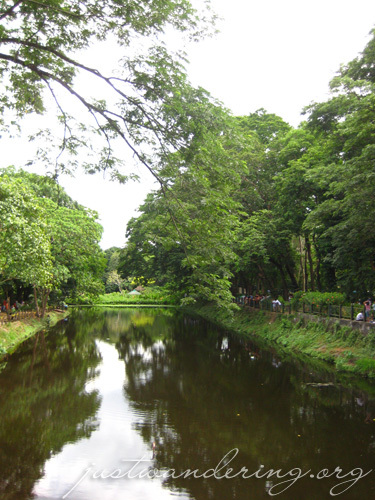 La Mesa Watershed in Quezon City is the primary source of drinking water of about 12 million Metro Manila residents. The property is owned by the Metropolitan Waterworks and Sewerage System (MWSS), a government agency. La Mesa Watershed is 2700 hectares, 700 hectares of which is the reservoir and 2000 hectares of which is the surrounding forest. This forest is the last remaining one of its size in Metro Manila and serves as its carbon dioxide sink. 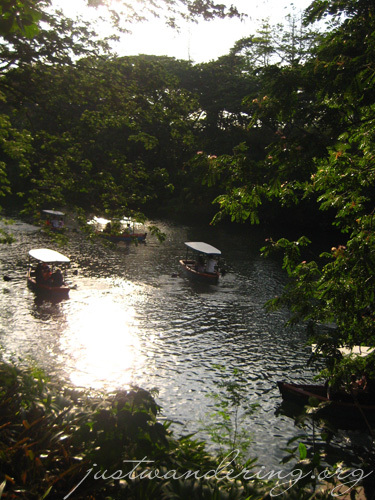 La Mesa Watershed, therefore, is vital to the city, not only because it is a primary source of drinking water, but also because its forest functions as the lungs of Metro Manila, providing it with clean air. 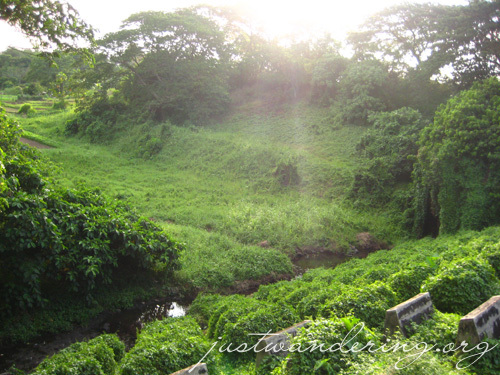 Due to lack of funds, illegal settling, poaching and logging, La Mesa Watershed came into disrepair and ruin. In 1999, ABS-CBN Foundation, Inc. created Bantay Kalikasan (Nature Watch) and, in partnership with the MWSS, undertook the Save La Mesa Watershed Project. The project aimed to rehabilitate, reforest, preserve and protect La Mesa Watershed. The total area that needed reforestation was 1500 hectares. Today, eight years since the project started, only 158 hectares remain to be planted. Bantay Kalikasan’s strategy of actively involving the general public in the project, through its Adopt/Protect-ATree/ Hectare programs, was key to its success. To sustain the Save La Mesa Watershed Project, Bantay Kalikasan, in partnership with the MWSS and the Q.C. Government, rehabilitated and renovated a 33 hectare public park located right outside the natural boundaries of the watershed and 40 meters below the reservoir. 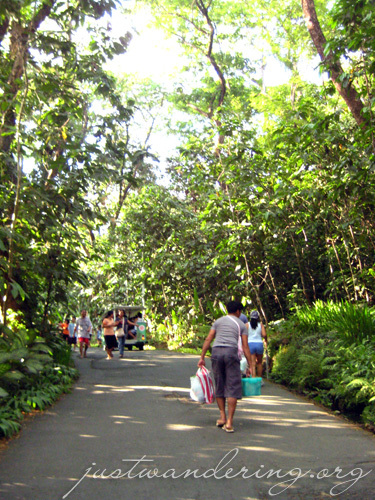 In September 2004, it was renamed La Mesa Ecopark and reopened to the public. 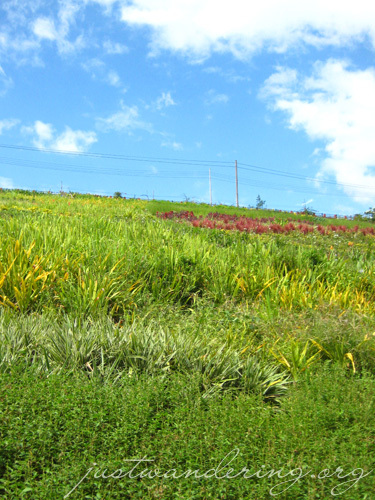 All revenues generated by La Mesa Ecopark are utilized for the continuous preservation and protection of La Mesa Watershed. It’s pretty hard to imagine this kind of place exists here in Manila. Driving along Commonwealth Avenue (a highway known for its heavy traffic, notoriously accident prone and lined with illegal vendors and squatters), it makes you wonder whether the ecopark would live up to its promise and hype. Closely following the map we downloaded from the ecopark’s website, we turned right into East Fairview Subdivision, just after passing the Fairview Market in our left. Rey opened his window to ask the guard for directions. Before he can open his mouth, the guard tells him to turn left at the first corner and to just follow the road. We drove along Dunhill street and just when we started wondering how much further we’d have to drive, we came upon a trelis-lined steel bridge. We knew right then that we were in the right place. There was still some ways to drive from the bridge. We had a glimpse of the picnic area through gaps in the foilage; the place was packed. When we turned into the parking lot though, it wasn’t full. Turns out that there was still quite some distance to cover from where we parked to the La Mesa Ecopark’s actual entrance. As we walked with our picnic stuff, a staffer approached us and pointed us to a hut where we can pay for admission. The park’s admission fee is only Php 50 for adults and kids 3ft. and up. Quezon City residents get a discount: Php 40 for adults, Php 20 for students and free admission for senior citizens. We reach the park’s entrance, and the security guards check our things. Alcoholic beverages are not allowed inside the park, and the guards check each bottle to make sure you’re not smuggling any liquor. There’s a shelf behind the staff members, used as a package counter for bottles of beer, gin and wine that people still insist on bringing. There was a shuttle waiting just past the entrance. It looks like a minivan that had a jeepney-style seating at the back. 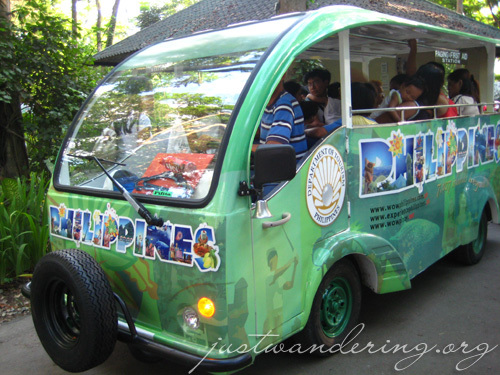 However, unlike the jeepney, this shuttle is solar and electic powered. It hardly make any noise and you’d think that it’s gliding along the path. We opted to walk, marveling at the tall trees and the variety of plants lining the pathway. It was very quiet inside the ecopark. Well, you can’t hear anything from outside the park, just the din of too many people talking all at the same time. The peace was broken by the squeals of children in the salt-treated swimming pool. The pool has a separate admission fee; if you want to swim, you have to shell out an extra Php 80 per person. I got the impression that there weren’t any food stalls inside, but there were a couple selling grilled and binalot meals. Nevermind that though, we had the best picnic food: a Pinoy bento of pork adobo, fried eggplant, tomatoes, bagoong and heaps of rice. There are picnic tables around the park, but you’d have to be there early to claim one for your group. However, there are plenty of open spaces where you can lay your picnic mats. There are also sinks where you can wash your hands or dirty dishes, and the all important toilet facilities. There are lots of things to do inside the park. Apart from the swimming pool, there’s a fishing wharf where you can cast your lines and, well, fish; a walking trail, a butterfly hatchery, a lagoon where you can row boats, a zip line and wall climbing facility, even a paintball field. The La Mesa Ecopark is a great place to escape from the city while still being inside the city (did that even make sense?). Though peace and quiet may be hard to find during a busy weekend, there are still areas in the park where not a lot of people go to (usually at the other end of the entrance). My only gripe about it are the people who go there who clearly don’t care about the environment. In the La Mesa Ecopark website, they state that littering is strictly prohibited and fines are imposed on those caught. It was pretty disheartening though to see people still leaving their trash everywhere, even when there are numerous trash and recycle bins around the park. By car: From Quezon Memorial Circle, drive along Commonwealth Avenue, passing the Sandiganbayan and the Fairview Market. As soon as you pass the market on your left, look for the first corner on the right (Winston Street). Turn right, then left at the first corner (Dunhill Street). Follow the road until you reach the bridge. By public transport: Ride a Fairview-bound bus or jeepney (make sure it’s going further than Litex). Ask the driver to drop you off at the East Fairview Subdivision gate. Ride the trike to the ecopark. Very nice post and pictures!. It’s refreshing to have a reserve park inside the city. I thought our largest patch of city greenery was actually Luneta. hehehehe. Will definitely visit this place. this is lovely! 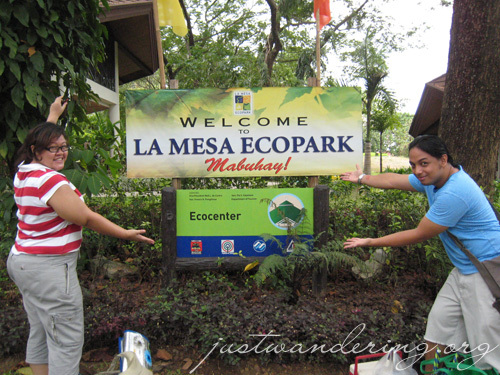 i must admit that i’ve never really been to the la mesa eco park! a couple of firends had their prenup photos there and the views were really nice. nice post! very informative, especially the details on how to get there. I haven’t been there, looks like a nice place for a day trip photo shoot. Ang sarap pati ng food ng mga pinkies! Many many thanks for visiting the opening exhibit night! Salamat sa pagbabahagi ng karanasan at larawan. Pagbalik ko, pupunta ako diyan! hello. may i borrow your pictures? i will give credit anyways. nice shots!!!! i love it! I’ve been there twice. and I really love it. I love the whole vicinity. Especially the Exercise Area for Team Building with the spider Mesh and also the Boat Lagoon. If your with your special someone. It’s Really Romantic. If it’s only walking distance from the my place of residence i might go there everyday! It’s better than anypark i’ve been here in Metro Manila. With the green surrounded ambience, trees with ferns and many more. You should See it. u cud enjoi at the lowest price!!! i cant wait to see it..
is there anyone could tell me or give me some idea or an advice, etc…? thanks & i hope for someone to help me…GODBLESS! how can i be a volunteer for saving mother earth and by the way i’m only 15 years old but i’m aware of whats happening to our invorenment.. pls comment back.. Many thanks to all our avid KAMBY’S suki from La Mesa Eco-Park Staff. Bawal talaga ang moni at biritan sa eco-park kaya enjoy na lang kayo sa may labasan along Commonwealth Ave. I really enjoy nature trip and jogging inside Eco-Park. I like the the place since it has similarity with the natures of place in Mt. Banahaw. Pagpasok o pag labas nyo nang Eco-Park pasyal muna kayo sa KAMBY’S MEAT SHOP ATBP. Thanks your blog is more informative than eco park’s own website..they should hire you! ..thanks going there this weekend! 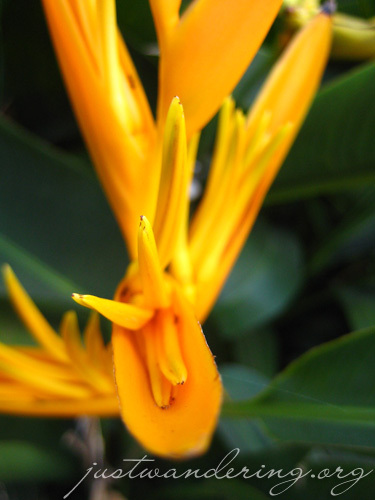 Nice Blog=), it was very informative. Hope I can go there this weekend! hi. i read that there’s a swimming pool here. is that right? is it for public use and if yes, how much thanks! Hi! just found out about your site thru the Inquirer mag. Your site is amazing! Kudos to you! 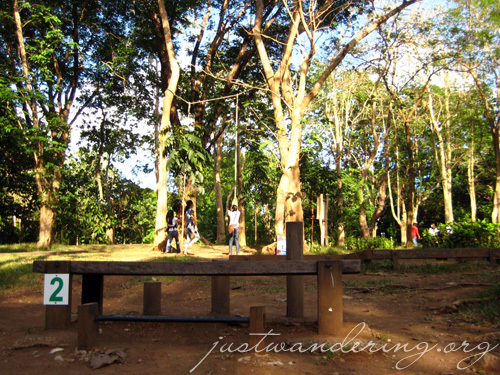 Been wanting to go to the La Mesa Eco Park. 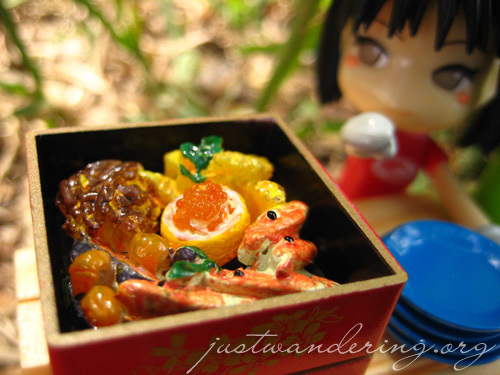 Your post just convinced me that it is a must-do this summer with our girls. can u send me a map to print?…. yay! punta din ako dito.. may map ba sila dito? pwede ba dito magdala ng rc heli or drone para magpalipad? malapit lang ito samin kayang kaya lakarin… gusto ko sana i try magpunta para magpalipad ng heli/ drone..
Matagal na po kaming hindi nakakapunta doon. Mas maigi po na tawagan ninyo sila para makasiguro. ahh.. sana pwede magdala.. mukhang malawak ang open space nya eh na tamang tama magpalipad ng rc heli/ drones.. I like the green in this park, so relaxing. Good job for them reviving this park from dying. I wish I could visit it soon.